Desa Dunia Beda is a unique secluded village where you will experience the enchantment of Indonesian traditional lifestyle combined with caring and personalized service. Each house has a sea view and offers full comfort including open air bathroom, private balcony, mini bar, safety box, fans and kimonos. A large family house of two bedrooms, each with its own bathroom, is completing the village. Desa Dunia Beda means in English a different world village and has an unique identity among Lombok's Hotel and Resort. Established in 2004, we offer ethnic luxury experience to our guests. 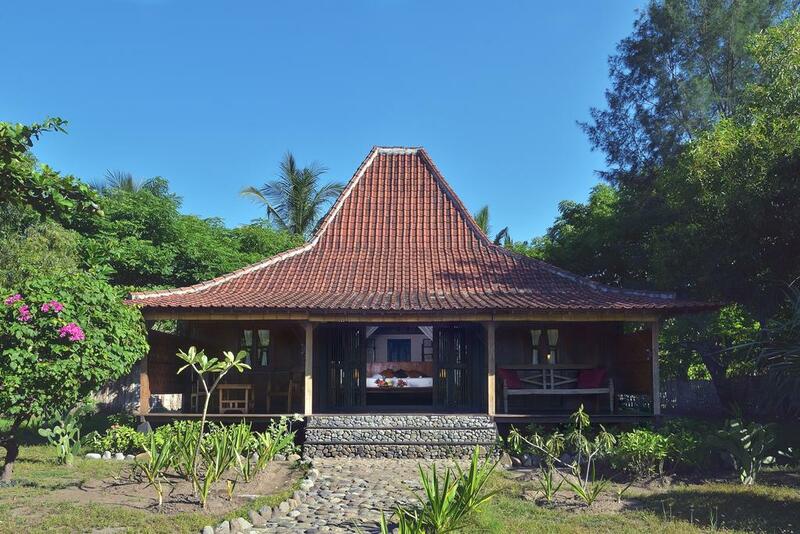 Built on 15,000 m² land and an exceptional 170 linear meters of beach front, we opted for traditional constructions from Java named Joglo and Rumah Kampung , old teak houses renovated. 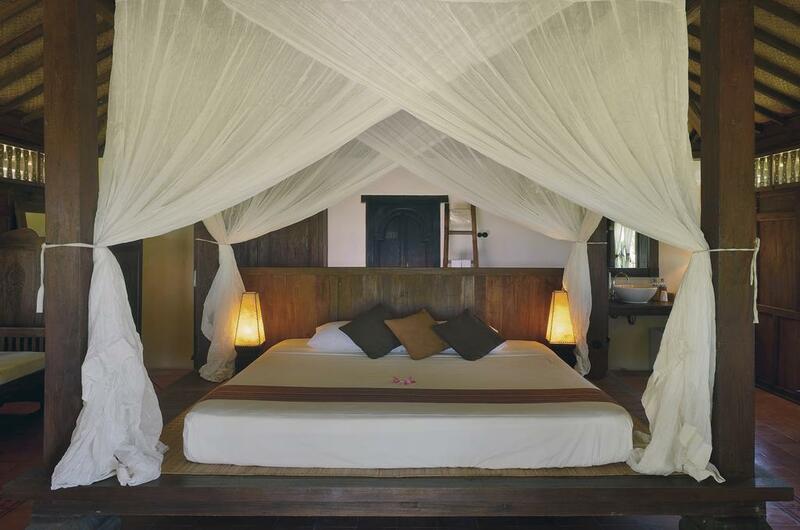 With only twelve villas on the property, our concept is to give full privacy, comfort and space to our guest. 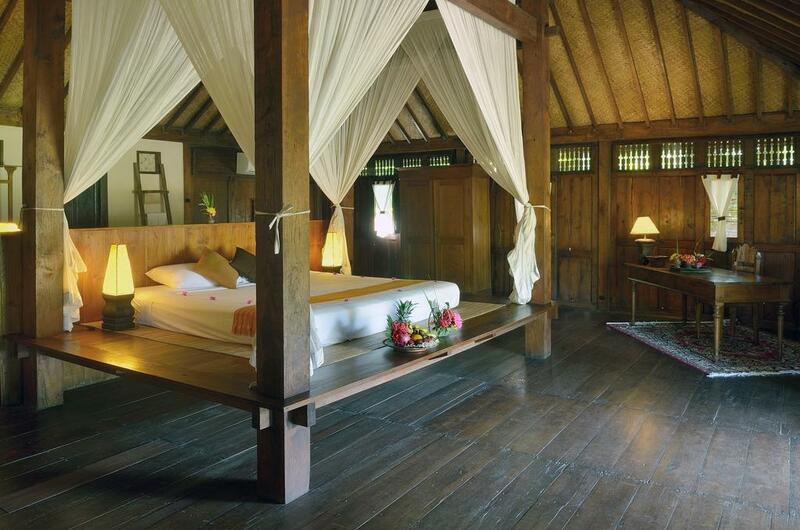 Desa Dunia Beda Beach Resort offers 12 ocean view Javanese Traditional Antique Houses set in a 15, 000 m² of land. Traditional constructions from Java named JOGLO and OMAH KAMPUNG, old teak houses renovated and decorated with authentic furnishings, primitive arts, artifacts, private balcony, semi open air bath room and fresh water to preserve the authenticity of the surroundings. Room facilities: 2 double bedrooms with Air conditionings and its own bathroom with fresh water shower, living room, WIFI , Satellite TV & DVD player, safety box in the room, fridge (mini bar), tea & coffee maker, ceiling fan, ki monos, umbrellas. Room amenities: liquid soap, shampoo, shower cap, cotton bud, mosquito lotion, daily complimentary of 4 bottles of mineral water (aqua) . Room facilities: 1 double bedroom, an open air bathroom with fresh water shower, safety box in the room, fridge (mini bar), tea & coffee maker, WIFI , Air Conditioning, ceiling fan, kimonos, umbrellas. Room amenities: liquid soap, shampoo, shower cap, cotton bud, mosquito lotion, daily complimentary of 2 bottles of mineral water ( aqua) . Room facilities: 1 double bedroom, an open air bathroom with fresh water shower, safety box in the room, fridge (mi ni bar), tea & coffee maker, WIFI, Air conditioning, ceiling & standing fan, kimonos, umbrellas. Room amenities: liquid soap, shampoo, shower cap, cotton bud, mosquito lotion, daily complimentary of 2 bottles of mineral water ( aqua) . Horse cart (Cidomo) transportation exotic. total accommodation will be charged due to the time limit above. cancellation fee will be charged due to the time limit above.